Rock & Metal 4 You: CD-Review: Issa - "Crossfire"
Norwegian Rock singer Issa Oversveen seems to become more and more the AOR queen of this generation. With her new album "Crossfire" she picks up where acts like Robin Beck, Heart or Roxette stopped in the early 90's. She says that this album is influenced by those musicians and so she has big shoes to fill. Fans of Issa had to wait 4 long years for a follow-up to her second record "Storm", that features new original material. "Can't Stop" was released in 2012 but this one just consisted of cover songs. Was it worth the wait? First of all let us take a look at Issa's development, because this is very interesting. Her debut album "Sign Of The Angels" was kind of a Melodic Metal record that came along with louder guitars and a more rockin' sound. Just one year later "Storm" made things much different. This album had much more Pop appeal and it was typical Melodic Rock music. I really liked both records. The cover album "Can't Stop" was the next step away from a rockin' sound - here much more keyboards were added and it turned out as a very traditional sounding AOR record. With "Crossfire" Issa follows this path. That means you'll get to hear many cheesy keys again, for my taste a bit too much of them. Because of all those keys the record sounds very polished and edges are missing. A healthy dose of heaviness here and there (like on the first record) would have made some of the songs more interesting and the whole thing would have sounded a bit more varied, because this is the major problem of "Crossfire": a lack of variety. Many songs follow the same structure and after the half of the record you think you've heard those arrangements and melodies already on the previous 5 to 6 songs. That doesn't mean this album consists of bad songs, it's just the way how they are written and presented - more of the same and the same, you know. It's a very safe songwriting. Why not using an acoustic guitar on one of the songs or a piano tune or a song without any keys. This would have made songs like "Electric Lights", "Red Lights" or "Only You" more intense and different. Instead we hear once more melody lines that don't differ much from the stuff other AOR acts are doing today. Unfortunately, this is a missed opportunity from Issa to give the listener something really special. That might sound worse, but "Crossfire" has also its very enjoyable moments, for example the amazing title track, which has lots of airplay potential in it and don't need to hide from Issa's idols I mentioned above. Also the duet with Steve Overland on "Raintown" is AOR in its purest and most perfect form. The harmony between Issa and Overland is awesome on this one. Further more the sing-along anthems "Hearbeat" and "We Rise" show how good AOR is done. Then there is another thing where this album can shine and that is Issa's beautiful voice. She is doing a fantastic job once more and her voice can add something special to nearly every track. Also technically there is nothing to complain about, because also the band sounds pretty good. So at the end of the day you get another very traditional AOR record, that is a little bit monotonous, but feautures still some very catchy tunes with hit potential paired with a wonderful voice. 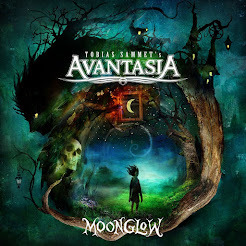 It's a shame to see that Isaa moves with each album more and more into the same direction like many other artists of the Frontiers Records family (Moonland, Angelica, ...), because Issa has much more potential to do things different. The debut album proved it and so I hope that next time we get to hear more variety again. For now this is a fine release for Issa-fans and AOR die-hards.